But as any VC will tell you, it’s not about the numbers—it’s about the team. You’re not investing in profits; you’re investing in people. 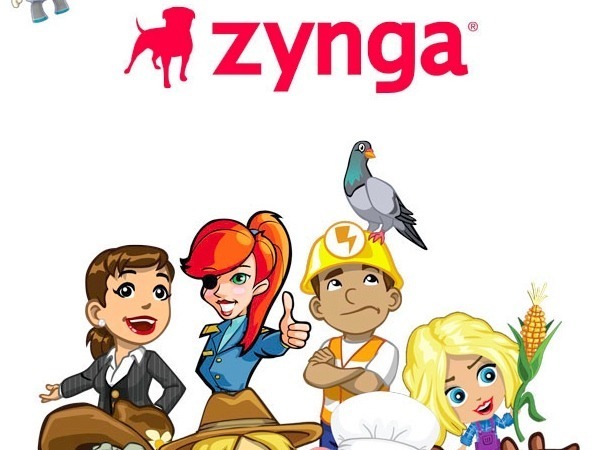 So who are the people that make up the Zynga executive dream team? For starters, you have 45-year-old CEO Mark Pincus. Don’t be fooled by his gamer wardrobe of hoodies and T-shirts. Dude has degrees from the Wharton School of Business at the University of Pennsylvania and Harvard Business School. Prior to joining the elite community of Web entrepreneurs, Pincus worked in finance, serving as a financial analyst for two years Lazard Freres & Co., after which he moved to Hong Kong, where he served as VP for Asian Capital Partners for another two years. One Harvard MBA and a stint as a manager of corporate development at Tele-Communications, Inc. (now AT&T Cable) later, Pincus launched his first startup, Freeloader, a Web-based push technology company that was snapped up only seven months later by Individual, Inc. for $38 million. His second company, a service and support automation provider, Support.com, went public in July 2000 and later changed its name to SupportSoft, Inc. In 2003, he founded social network Tribe, and in 2007, Cisco Systems bought the core technology to develop a social networking platform of its own. Zynga got its start that same year and was named after Pincus’ late bulldog, Zinga. Also worth noting: Back in 2003, Pincus and LinkedIn co-founder Reid Hoffman purchased a social network “patent” from Sixdegrees for $700,000. Next on the docket, you have the spry young Justin Waldron, co-founder and VP of Zynga, who dropped out of college at the University of Connecticut at just 19 to co-found the company. He started out as the lead engineer/pm for Zynga’s flagship game, Texas Hold’em Poker, and has since worked on a number of Zynga’s other game franchises. Now, at 23 (Jesus! He’s a baby! ), Waldron is working at Zynga’s Tokyo studio to build up the company’s presence among Japanese social networks. 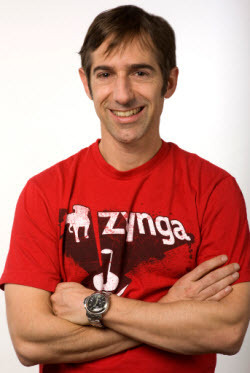 And speaking of Zynga’s Tokyo studio, where would the company be without CEO of Zynga Japan, Robert Goldberg? Goldberg wears a couple of different hats for Zynga, actually. In addition to heading the company’s Japan unit, Goldberg is also the SVP of Business Operations, as well as the SVP of Corporate Development at Zynga. And apparently as someone who likes to keep busy, Goldberg is also the Managing Director of Crossroad Ventures and a partner at YL Ventures. Prior to his current positions with Zynga and in venture capital, Goldberg was the EVP and Managing Director at Idealab; SVP of sales, marketing, and international operations for LookSmart; SVP of sales, marketing, and operations at NBCi; and VP of worldwide field operations at Thinking Machines Corporation. Goldberg has a degree from Columbia University. Heading up the company’s technology is CTO Cadir B. Lee, who was also the co-founder and CTO of SupportSoft, Inc. (the company that Mark Pincus co-founded, which went public in 2000). Interesting factoid about Lee: he went to Stanford and got a BS in biology and music, with plans to go on to medical school (he even took the MCAT). During his last quarter, he took a computer science class to fulfill a requirement and “fell in love.” During his first job as a computer programmer, he met Mark Pincus, and the two ended up co-founding SupportSoft together, where Lee worked until 2008 (when he joined Zynga). And Zynga wouldn’t have gotten very far if it didn’t have CFO Dave Wehner managing the books. With degrees from both Stanford and Georgetown, Wehner joined Zynga in 2010, following an illustrious career in investment banking. Prior to joining the Zynga team, Wehner was the Managing Director of Allen & Company from 2001 to 2010, during which time he was also a board member for StubHub. Prior to his work in investment banking, Wehner was the VP of corporate development at BigVine/AllBusiness. And in the ‘90s, he held positions as an equity research analyst for Hambrecht & Quist, a strategy consultant for Monitor Company, and a Navy researcher. And ensuring Zynga security is CSO Nils Puhlmann, who joined Zynga in 2009, one year after co-founding Cloud Security Alliance, a community of 4,000 security professionals who share the common interest in security practices for the cloud. Also in 2008, Puhlmann was the CSO and VP of risk management for Qualys. Prior to that, he was the CISO for Electronic Arts from 2007 to 2008, as well as the CISO for Robert Half International from 2006 to 2007. He has also held positions as CSO and Director of IT and Security for Mindjet Corporation, Senior Manager of product security and certifications for Adobe Systems, Director of Technology Strategy for Nortel Networks, and VP of technology strategy and security for START Amadeus. Separately, they’re just your every day major corporate executives/possible millionaires, but together, they make up the Zynga dream team!